Thank you so much to all those have written to me and my associates during our career of wedding and personal photographers! I feel each message of gratitude as an awarded medal. Spiego sempre ai miei clienti che scegliere il servizio fotografico è di fondamentale importanza. 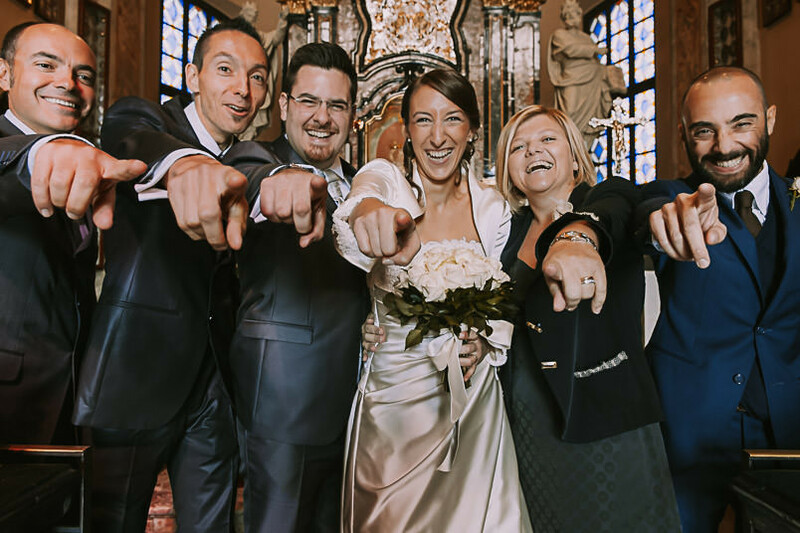 Tra gli investimenti che il giorno del matrimonio richiede, fotografia e video sono due cose fondamentali che rimangono per tutta la vita, come gli anelli. Ma il “giusto fotografo” chi è? E’ quel professionista che fa rivivere l’essenza della giornata costruendo un racconto fotografico. Luca è per me il “giusto fotografo”: un autore, uno storyteller che crea immagini non solamente espressive ma anche tecnicamente perfette. Tutti coloro che decideranno di affidarsi a lui ne saranno più che soddisfatti. I always tell my clients how important is the photographic service. Amongst the wedding day investments, photography and video are the most relevant, since they last for a lifetime, just like the rings. So, who is the “best photographer”? The best professional is the one able to capture the essence of the day: a storyteller. Luca is the “best photographer”: an author, a storyteller. His work is amazing and technically perfect. All those who will choose him will be more than satisfied. 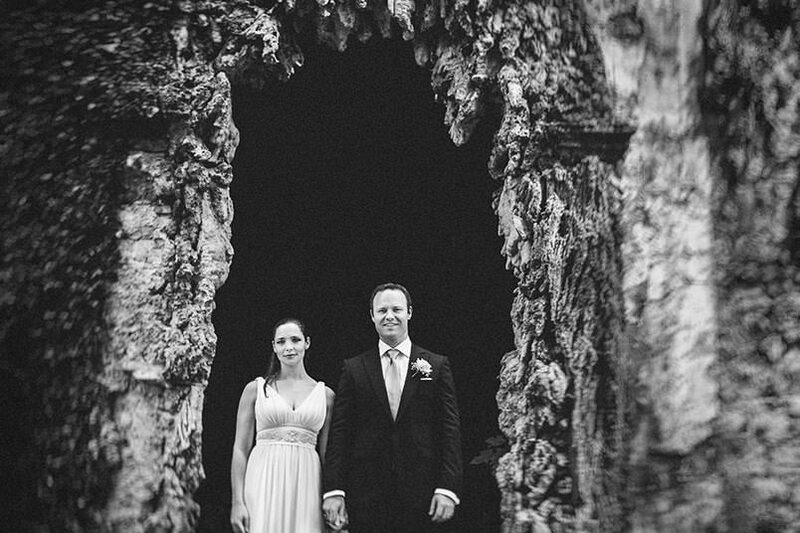 We just downloaded all of the photos and they’re so, so stunning. We are absolutely blown away. Thank you for helping us capture all the little things and tiny moments. 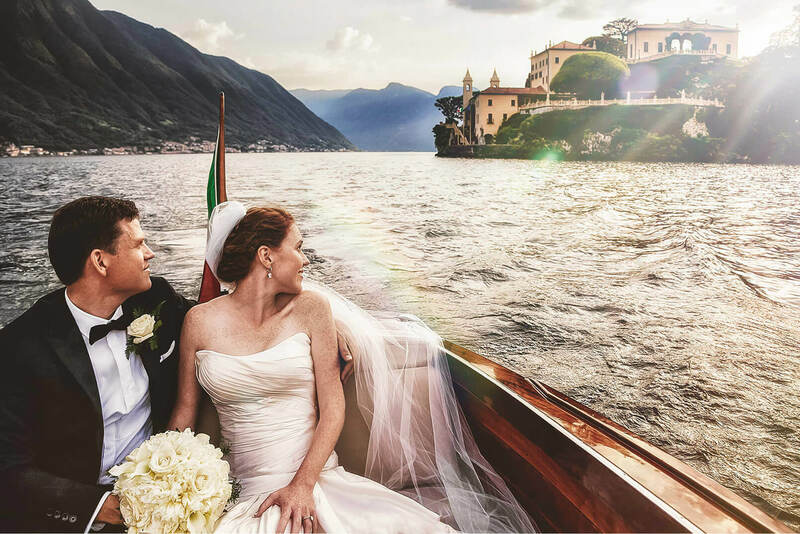 The pictures of Lake Como itself really made the journey complete. We have been in high spirits all day as we started our day looking at the photos together, and looking back on our wedding day. […] Never stop creating art and telling stories through your photography, they are a gift to the world. 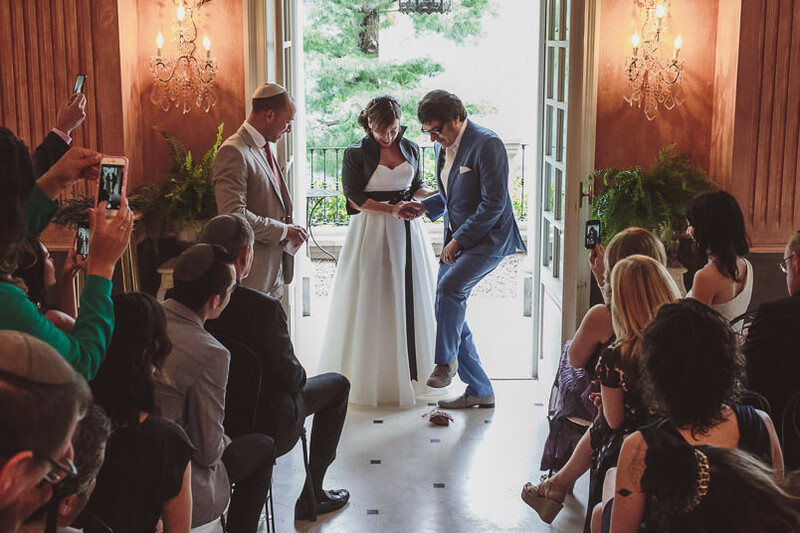 Luca, thank you for capturing our special day! 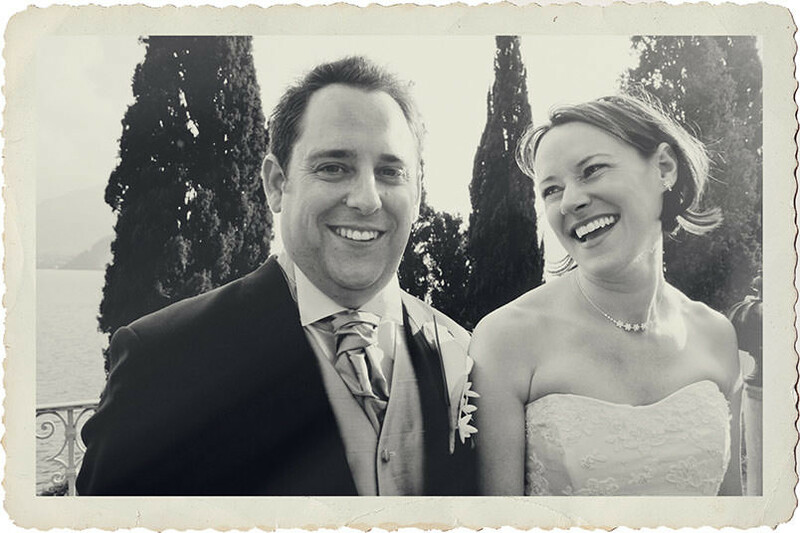 We feel you told the story of our day so perfectly with your pictures. 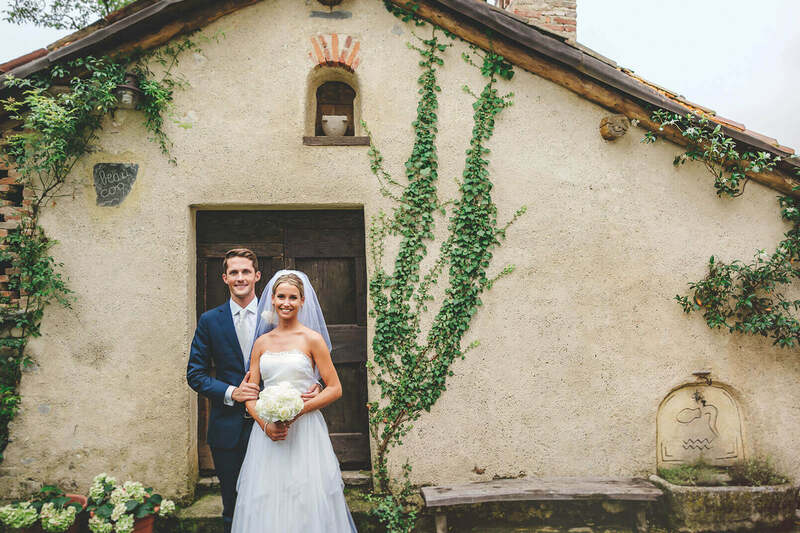 You were so knowledgeable of the surrounding areas of our venue as well as the inside. Your creativity, and talent impress us. Touching and goosebumping when opening the parcel from Italy. Classic, vintage, stylish wooden box with selective printed images and thumb drive. 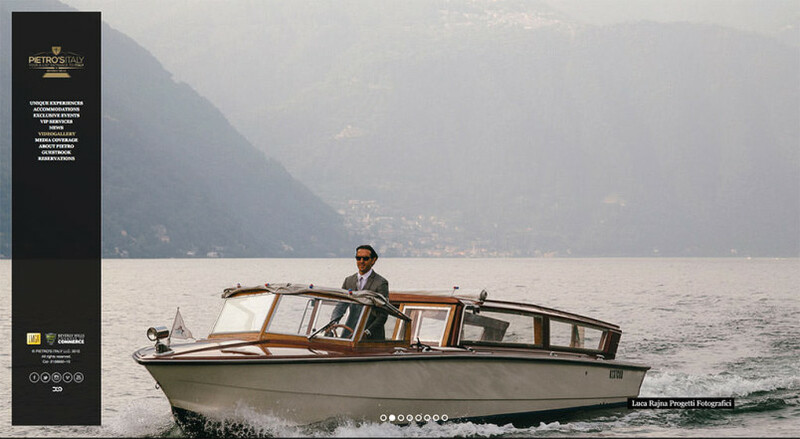 Final delivery from the best photographer in Lago di Como. 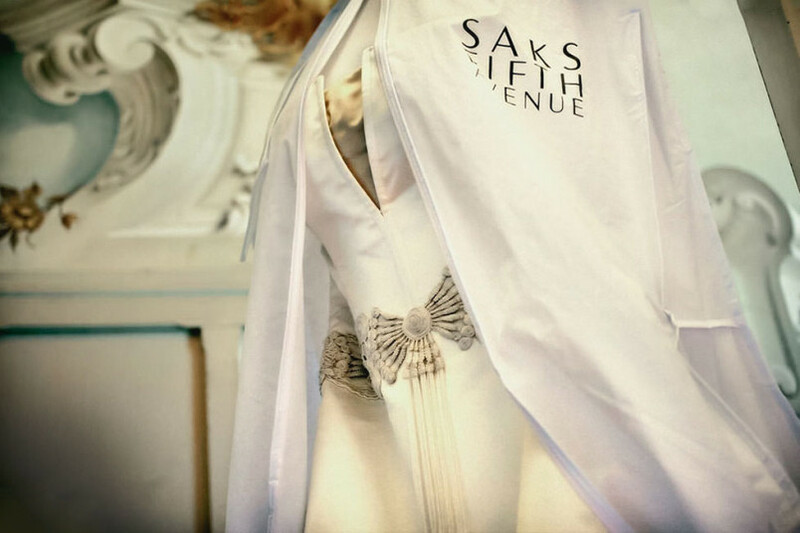 Elegant, memorable, and beyond expectations! Il tuo lavoro ed il tuo aiuto hanno reso oggi un giorno per noi indimenticabile. These are absolutely amazing, we are so happy and can’t thank you enough. We didn’t know what to expect but you have blown us away. Thanks again, we will certainly let be recommending you! When we saw our pictures, we were completely blown away. 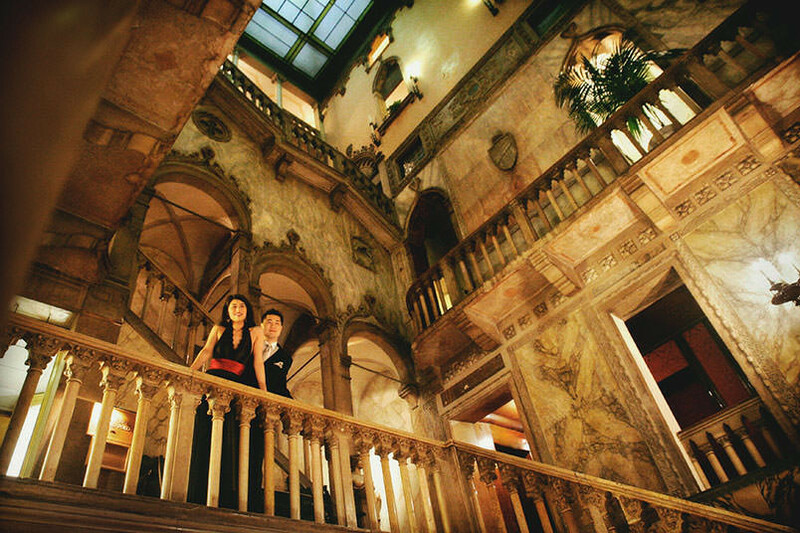 They were even more stunning than we had ever imagined. Luca has such a great artistic eye. Plus, he provided so many beautiful, high quality images that it will be hard to narrow down which ones to print and hang on our walls. 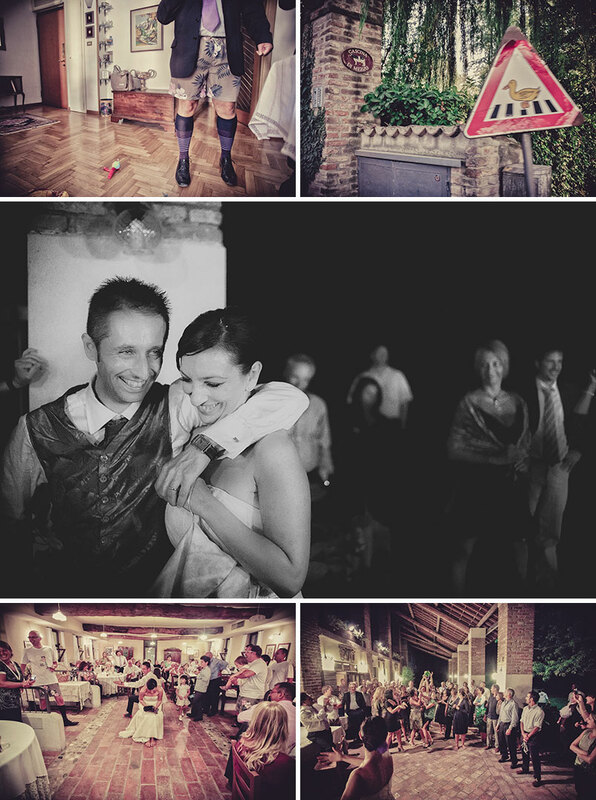 We are forever grateful to Luca Rajna Progetti Fotografici and would highly recommend their services to anyone. 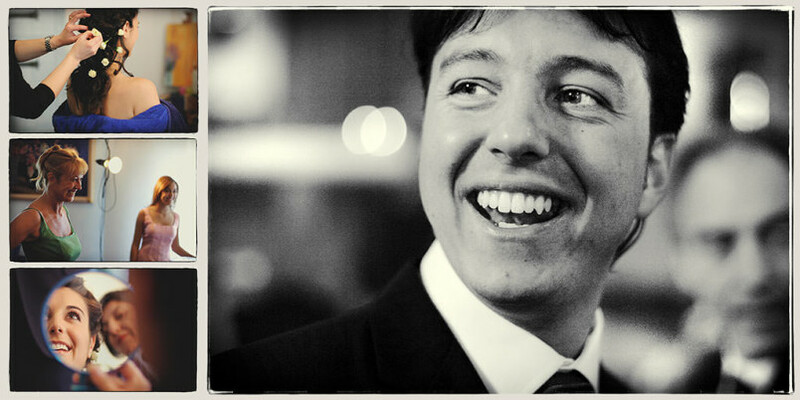 Luca – thank you so much for capturing an amazing day and such an important part of our lives. Steph and I were so lucky to have both you and Enzo be a part of it. The photos are incredible and we have spent a lot of time since re-living each moment through your work. 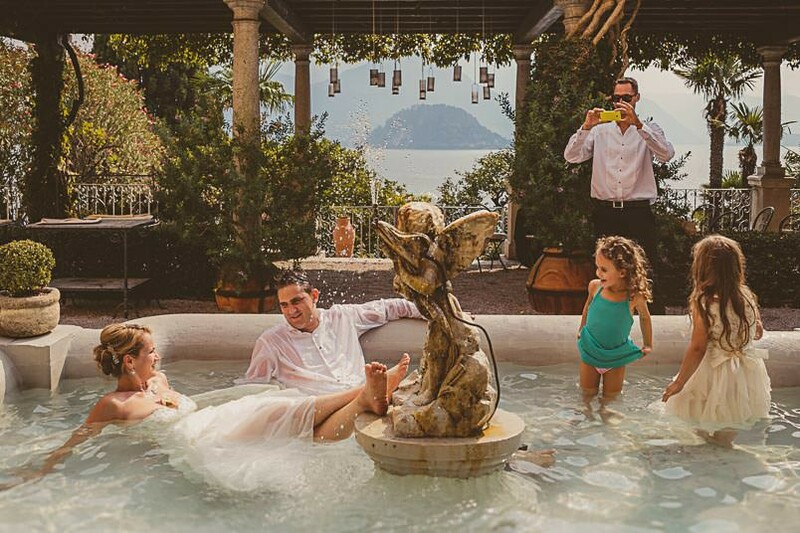 We look forward to returning to Lake Como for our wedding and having you capture each moment agani! Thank for the great work Luca. You made our day a memorable day with wonderful photos! Luca Rajna is not just a master of fine art photography, he is a researcher and explorer of photographic art. I have known him for a few years now and have had the pleasure of working with him on weddings I have planned and I have watched his expression in pictures evolve and expand not only with the different locations in Italy and the different wedding settings, but mostly through his eye for capturing and experimenting with frames, edits, light, and color. I highly recommend hiring Luca for whatever you need in photography. Luca is an amazing photographer! He captured every moment of our wedding perfectly. We are a very cheesy couple and he embraced that! His work is incredible, like something out of a fairy-tale. We highly recommend him for your wedding! My wife and I used Luca as our photographer in our wedding and could not be happier with his work. We traveled internationally and his communication was great. We have many of his photos on our walls and are so thankful for his art. Grazie Luca, hai realizzato con estrema discrezione immagini veramente artistiche. Possiamo definire la documentazione del nostro matrimonio “completa” ed aver posato per il tuo obiettivo non è stato per nulla imbarazzante. Passion, emotion and professionalism are the three words to describe Luca’s artworks. He is a devoted artist which brings moments to life and pictures to reality. It was a real pleasure to have him as photographer at our wedding. We still feel the emotions while looking at our pictures. Thank you Luca for having captured this moment of our life. Thank you for the wonderful pictures & ideas to make our wedding day so special! I worked several times with Luca and his photographers and it was always an amazing experience. 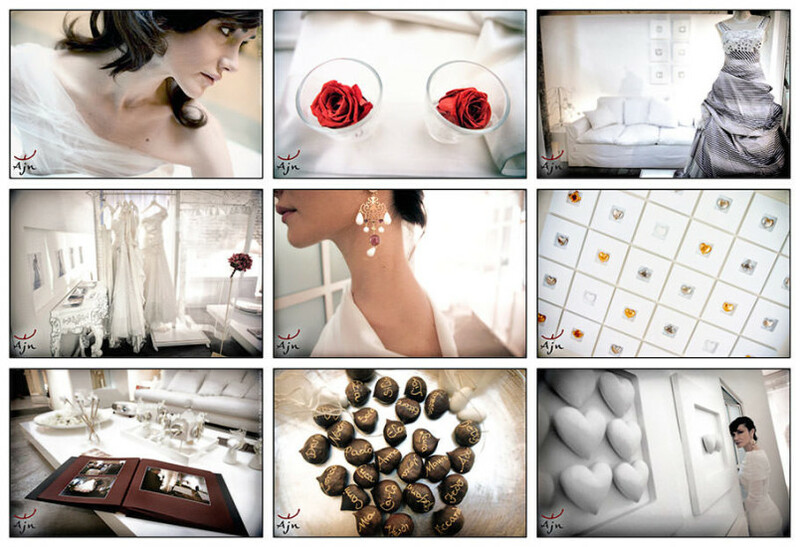 Their working method as wedding photographers is charming and impressive, almost perfect. I noticed that all of our couples were enthusiast of their so artistic work. Thanks Luca, it was like reliving once more the emotions of that wonderful day. The photos are truly beyond our expectations. You are a serious professional, you have a real attention to detail and customer needs. Great knowledge of the world of photography is definitely a true added value. we could not have chosen a better mate for our great day. You did a perfect job, but much more important, you made us feel comfortable. 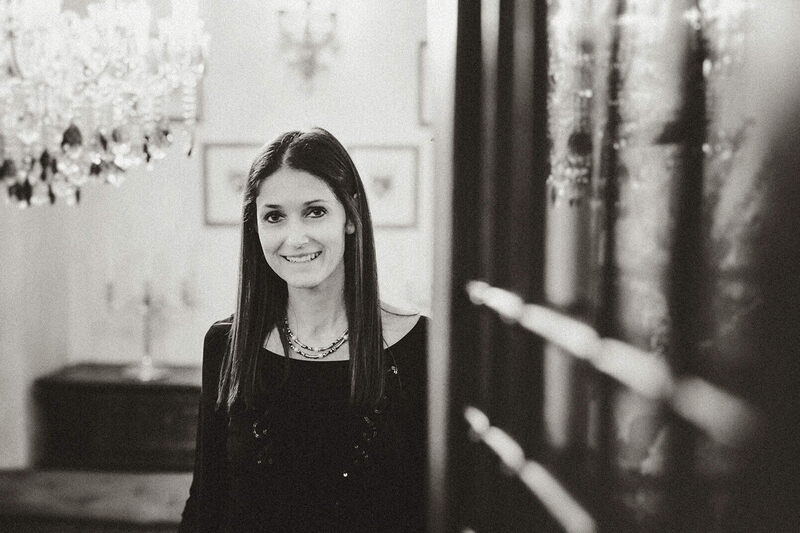 Ornella D’Angelo, wedding designer at Pepper Diva Unconventional Banqueting and teacher at the Master’s program in Wedding Planning at the Istituto Europeo di Design, Milano. Through stunning, alive, and deeply moving photography, Luca’s style and framing are unmistakable. I really love his work. Each image tells a story, poetically playing with light, creating a truly palpable atmosphere. 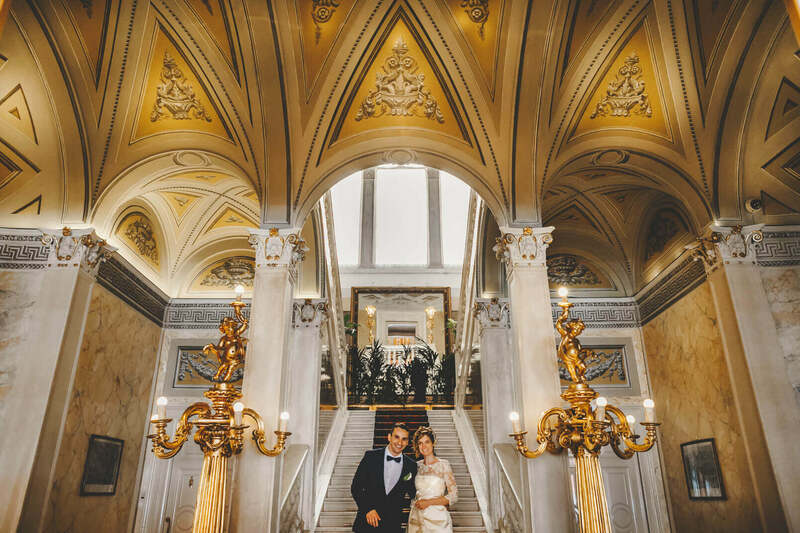 They say a photo is worth a thousand words, but Luca’s incredible photography made our wedding photos truly priceless! 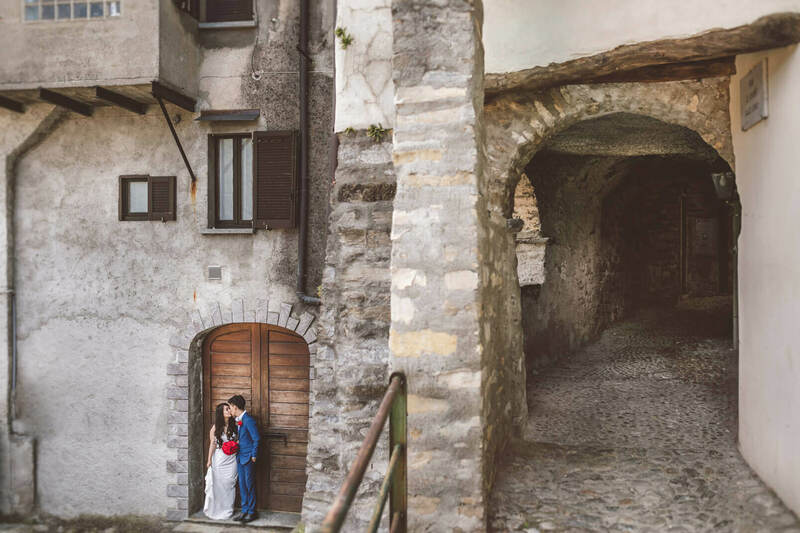 He was incredibly talented and perfectly captured two days of Lago di Garda magic. His ability to move seamlessly from foreground to background allowed him to capture all of the special moments whether up close or from a distance. A true artist, he was always on the lookout for moments that would have that special character and when he found them, he took great joy in modeling the shots to bring out the beauty of the landscape and the occasion. For Luca, the impossible is possible! It was an enormous joy to work with the Luca Rajna Progetti Fotografici team during our photoshoot. It was so important for my company to shoot the best images possible due to our reputation in the travel industry field and realising our new website I wanted to give importance to the pictures. The results were simply outstanding. From the first moment I met what I call the A-Team I know I found the best professionals to for fill my dream request of that is today true a picture equals a thousand words. What I really like in working with you all was that you fulling understood what I need, your eye to detail, the repetition of taking more and more shoots to find that perfect picture that I was looking for, the focus in capturing the moment and the professionalism you provide pre, during and post the photoshoot. 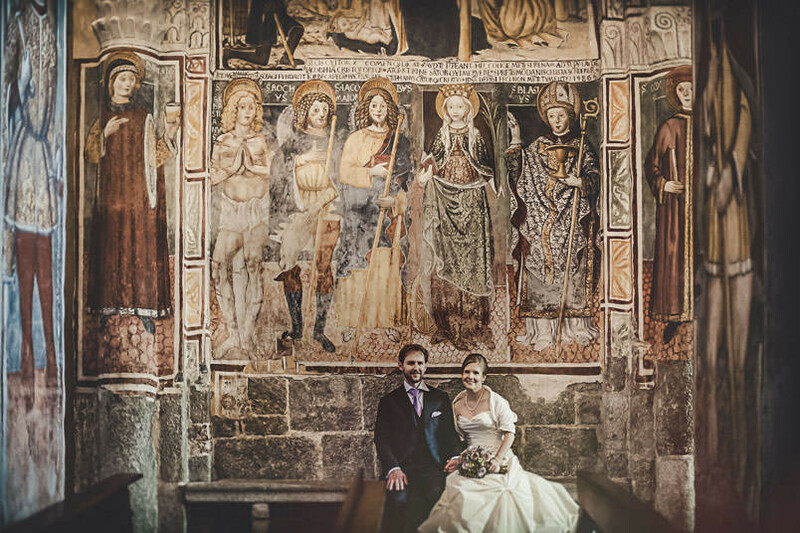 I will certainly recommend your company… we are know as the Artisans of luxury travel to Italy but you are certainly a team of true Artisans of photography. As an American motion picture producer I am profoundly impressed with the artistic grasp of Luca Rajna’s photography. 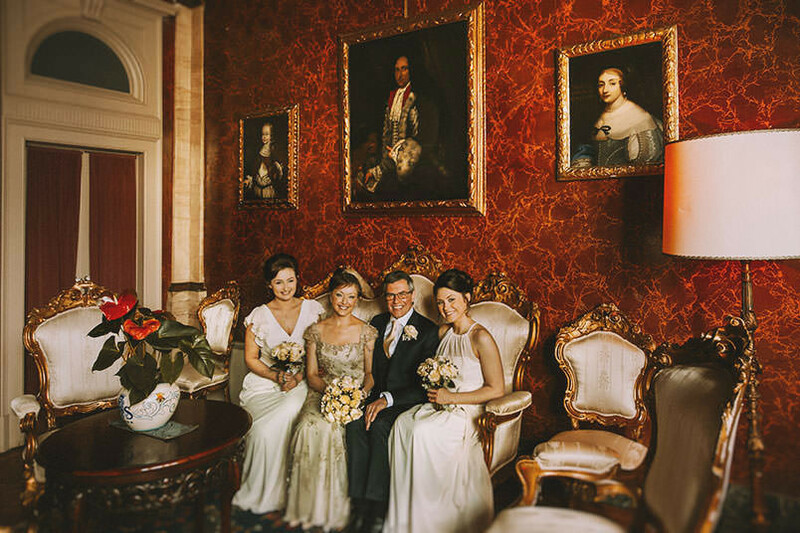 I have seen firsthand his attention to detail which carries from initial contact with clients, through meticulously staging and photographing the event, continuing with hands-on production of his gallery worthy photos. 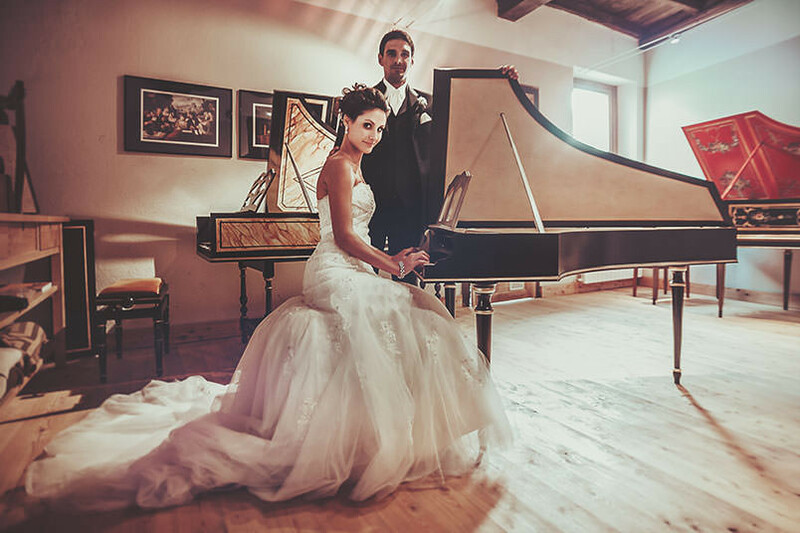 Il nostro album di nozze è ciò che orgogliosamente consideriamo la nostra personale e privata opera d’arte, realizzata da due artisti talentuosi! Ciao Luca, The album arrived and I think it’s gorgeous!!!! And look what I did to one of your pictures, I had it printed on wood!! It’s hanging above the open fire in our living room now !! 🙂 Wish you all the best!! We received the album yesterday and are very pleased with the final product. Many thanks for the great job you did for that memorable day and also on the photoalbum. We will recommend you to anyone we know! Hope you are well! Great to hear from you! Cannot thank you enough for all that you have done! Beth and I feel incredibly blessed to have had the opportunity to meet you: we are excited to see your work! I wish you and your family the best, please keep in touch! Carissimi, ho ricevuto l’album la settimana scorsa. Volevo ringraziarvi e congratularmi con voi! Data la qualita’ delle vostre stampe sarei sempre tentata di chiedervi di stamparne altre per fare un mini album per mia madre e per regalare qualche foto a parenti e amici più stretti! Wanted to let you know that we LOVE the photos – you have such a great eye and we love your style!!! We would like to thank you for the outstanding job you did with the pictures & album, they really look AMAZING and we are so happy with the result. 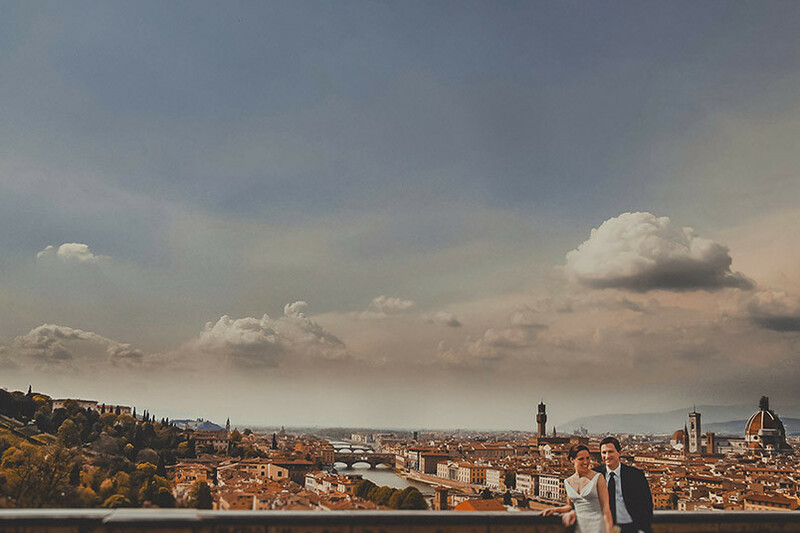 If we ever know someone getting married in Italy we make sure to refer you as their wedding photographer. Thank you again & regards from Zurich! Grazie davvero: penso abbiate fatto un lavoro intenso e con grande passione. Ora aspetto di vedere all’opera i tuoi magici preset per il lavoro all’album! Today we looked at our photos with effects and black & white, BELLO! Il tuo servizio è davvero molto bello e ti siamo grati di essere riuscito a cogliere tutti gli istanti più emozionanti. Non avevamo dubbi sulla tua bravura! Hi! How about you guys? Busy?? Thanks so much for everything you have done for us again. 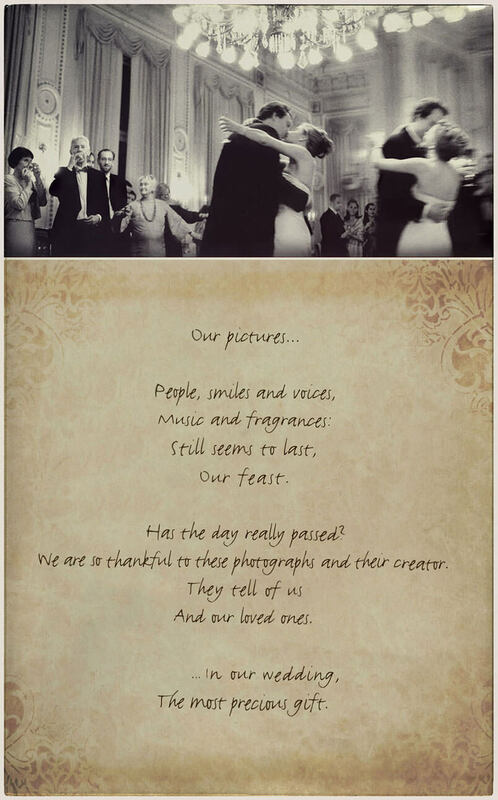 We have seen the words written on the 12th photo. So nice of you to include them in your website!! We are very proud to be one of your history in your studio!! I also received the pictures you sent to me which is the waiter who looks like Zidane, the French football player!! Wow!! I can’t believe my eyes!! They really look the same! I showed them to some of my colleagues and they thought it’s really Zidane!! Haha!! Very interesting picture indeed! Thanks for sharing with us! Anyway, do keep in touch and if ever you visit Hong Kong, remember to tell us and we will bring you around! You know Hong Kong is part of China and China is such a big country with a lot of nice photo-taking places to visit! Happy new year! Wish you and your family the best! May beautiful moments and happy memories surround you with joy this holiday season. Wishing you a New Year of peace and happiness. Carissimo Luca, i nostri migliori auguri e di nuovo grazie mille per le bellissime foto! 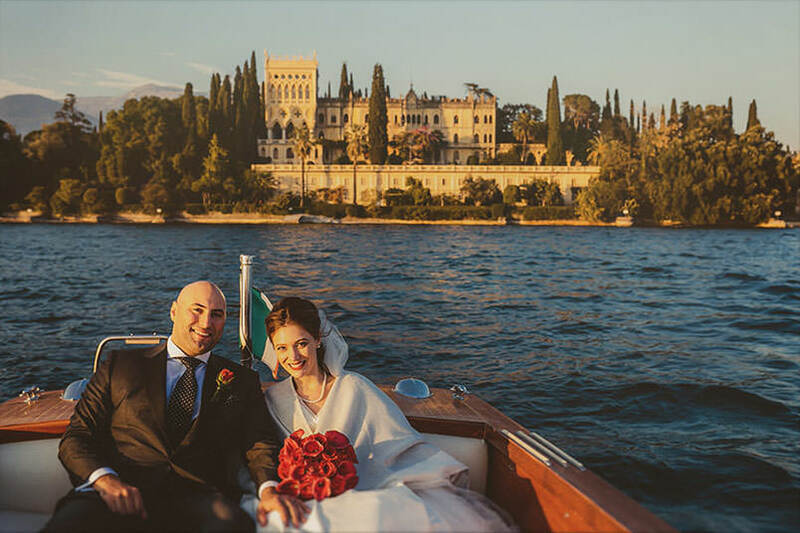 Our wedding and vacation were buonissime! Thank you for making the wedding day so special! We would be honored if our photos were on your website. You are authorized to put as many photos as you desire. Thank you again and I wish we had made it to Venice earlier. I knew you were great, but I did not know you were a genius. These pictures are brilliant, really. We are so grateful for your amazing talent. 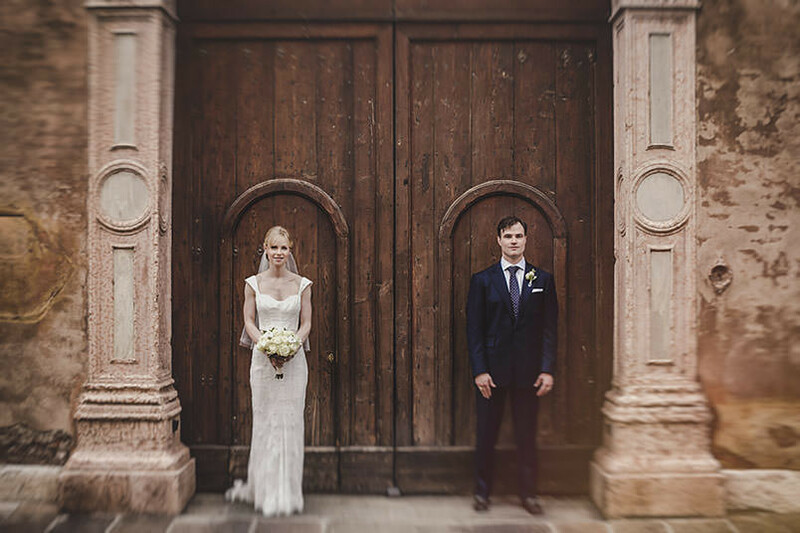 A perfect day captured forever by a perfect photographer! Abbiamo fatto vedere l’album a tutti e tutti sono rimasti molto impressionati da quanto è bello! Una mia amica mi ha detto che quando si sposa devo assolutamente darle il vostro numero! We just got back home today. First of all, THANK YOU for making our wedding day so very memorable. You were not only just photographers but someone who took extra care to make the experience very special. You will be highly recommended to anyone that I know that will be having a wedding. Even if they have to fly you down to the USA. You were great!! Siamo rimasti affascinati sfogliando uno dei vostri album e abbiamo subito deciso che sareste state le persone giuste per imprimere emozioni e sentimenti nel giorno del nostro matrimonio. Al nostro primo contatto con Luca, oltre a un grande fotografo, abbiamo conosciuto una persona con svariati interessi e molteplici pregi, con cui è stato piacevole confrontarsi e realizzare insieme un progetto di qualità, che ha poi coniugato tradizione ed originalità in un elegante equilibrio di immagini. Il vostro obiettivo, sempre discreto e mai banale, è riuscito a regalarci un ricordo intenso, concreto e indelebile del nostro giorno più bello, che sempre vincerà il confronto con un freddo e sterile schermo digitale! We have received the album, it is fantastic!!! You have captured our special day in amazing detail. We will enjoy looking at it for years to come. I just wanted to thank you so much for the wedding photos. They are absolutely beautiful. We are so happy with them and can’t thank you enough for capturing our special day so accurately. You have a true gift! Luca and his team were a pleasure to have around and fit in among our guests very comfortably. Luca gave us lots of options in the photos, which we feel are both classy and candid. 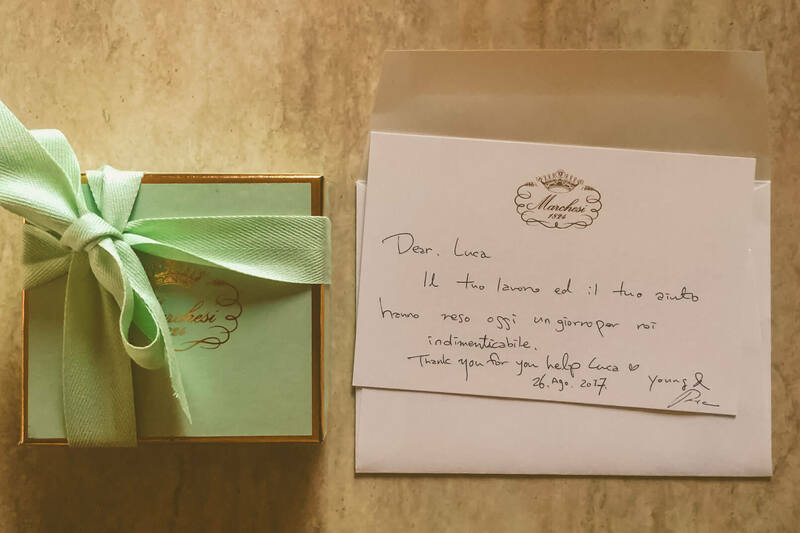 And we deeply appreciated Luca’s punctuality, professionalism, follow-through and communication throughout the whole experience, making Luca one of our favorite providers. 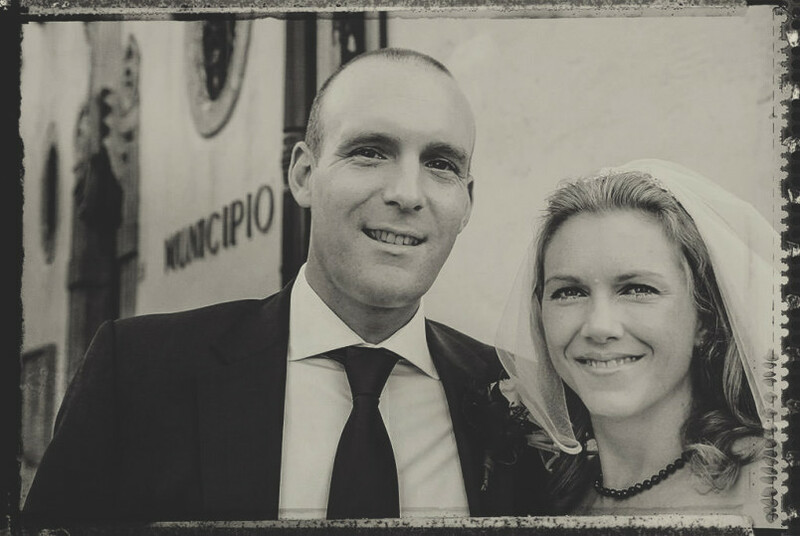 I would whole-heartedly recommend Luca Rajna Progetti Fotografici to anyone considering the service! The album has arrived safely and we are thrilled! Thanks so much for taking such care. We are delighted with such a treasure trove of happy memories! With best wishes, looking forward to our next trip to Bellagio in July. Onnipresenti senza mai farsi notare durante cerimonia e ricevimento, spettacolari nella realizzazione del progetto fotografico, grazie veramente, avete aggiunto valore al nostro matrimonio! We received the photos yesterday and we absolutely love them. Please thanks Luca for us, we especially enjoyed his experimental shots. 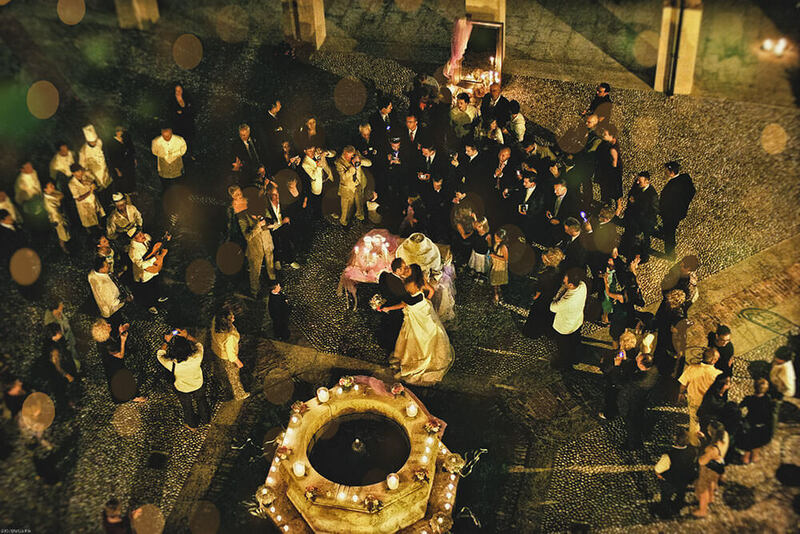 We are also happy to see our wedding captured in such a beautiful way. Thank you so much for your presence on our wedding day – it was good to finally meet you! The photographs are truly wonderful and tell the tale of the entire day, which is great. You certainly captured the enjoyment of the day. Your politeness and professional manner made the whole experience much more relaxing. All the best for the future to you and your company. Ancora un grande ringraziamento a voi per la professionalità, la disponibilità e la bravura che vi contraddistingue. Nel momento in cui qualcuno ci chiederà consigli su servizio fotografico per cerimonie, la nostra risposta sarà scontata. E per mio fratello, non so quando, sicuramente ci rivedremo! Thank you again for your wonderful work and attention to detail on our wedding! We are very excited to see your photos! 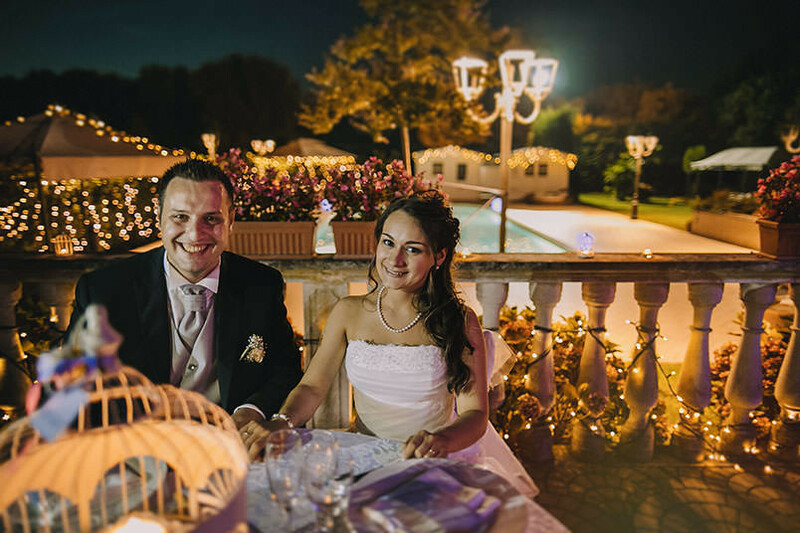 è stato un piacere averti conosciuto e averti avuto come fotografo alle nostre nozze!! Ci teniamo molto a mantenere i contatti con voi, se capitiamo dalle tue parti passiamo a farvi un saluto! Infine, sappi che sei diventato il fotografo ufficiale della famiglia! Con affetto e gratitudine…ci avete regalato un album che profuma di emozione… ci riescono in pochi. 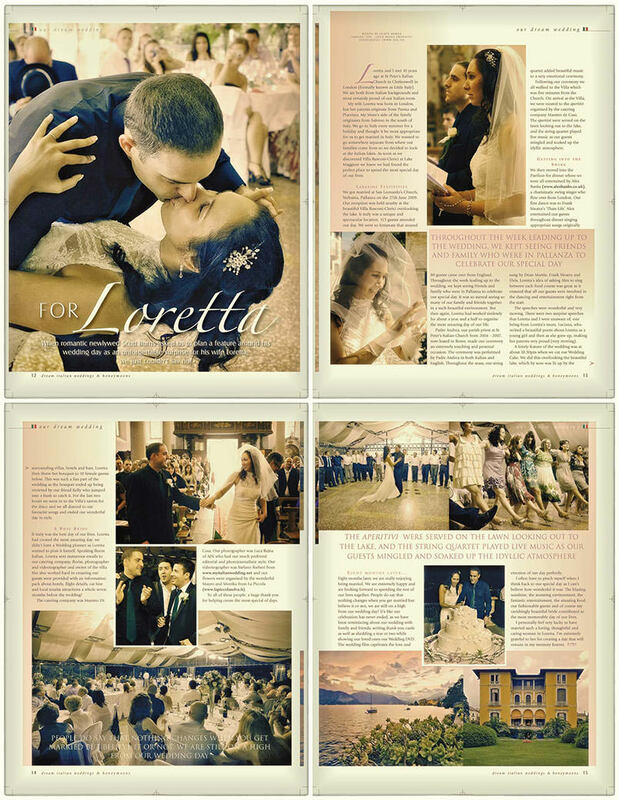 Luca, we just received our photo album. Thank you so much for your time, your wonderful photographs, and the artful work you have executed on the photo album! It is absolutely wonderful!! We will be looking back at the album for the rest of our lives, and remember the most memorable day of our lives through the fabulous photographs you have taken. Having seen your prior work, we expected a very high level of quality, and you have exceeded even the highest of our expectations. If you need us to be a reference for any of your future clients, feel free to contact us, we would be glad to pass on our recommendations to them! […] Solo una mail per dirvi grazie, tutti vi fanno i complimenti e io non trovo le parole per esprimervi quanto mi siano piaciute le vostre foto! It almost brought tears to my eyes last night. More over it made me really remember what a beautiful wedding we had. Those Pictures can only express how I felt on that wonderful day. I will be showing them off to everyone I know and maybe even a few I do not know. ” Yes, of course he may use the photos… It would be our honor! They are indeed BEAUTIFUL, and we have looked at them several times now. 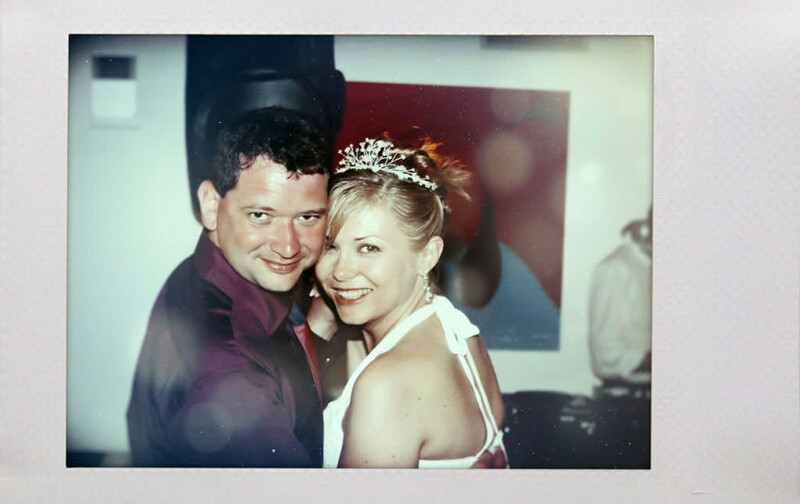 It reminds us of how perfect our wedding was, and the photos brought back so many good memories. Thanks again for making our dream come true! […] Volevo ringraziarti per l’eccezionale lavoro da te svolto. Le foto sono stupende e l’album e’ davvero una favola. Stasera lo faro’ vedere per la prima volta a mia mamma che mi viene a trovare e sono emozionata…. ! Luca il mio album è bellissimo! We look forward to your beautiful artwork! They are truly so beautiful! We are soooooooooooo happy that we chose you as the wedding photographer. We receive so many compliments! 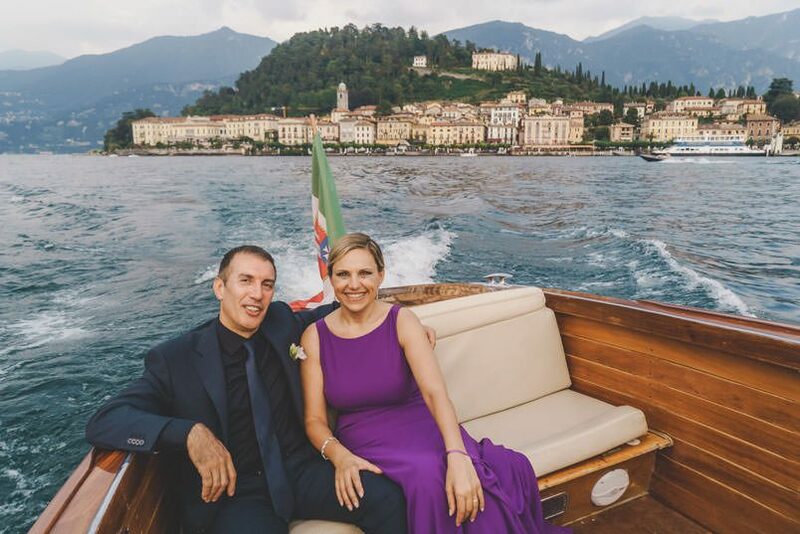 We had the most wonderful wedding day on Lake Como. Your photography has captured the special moments, the celebrations, and the happiness of being with family and friends. We have sent the photos to our friends in America, Australia, Italy and the UK – they all think they are beautiful! Thank you! 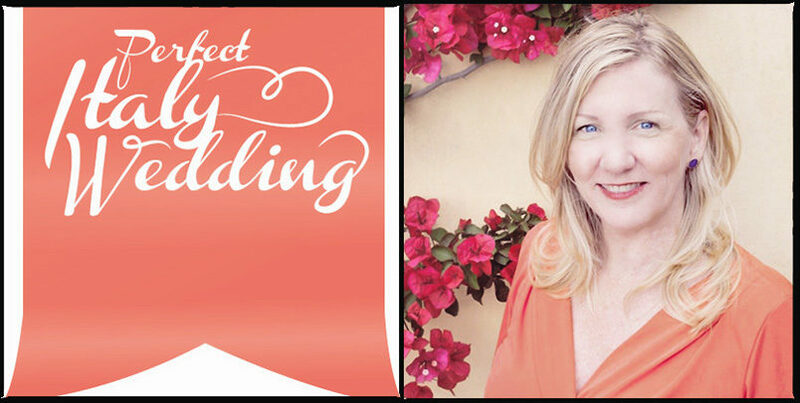 I will definitely recommend you to anyone getting married! We got the album and we just love it. It is perfect! The pictures are fantastic and our families are as well completely happy with it. 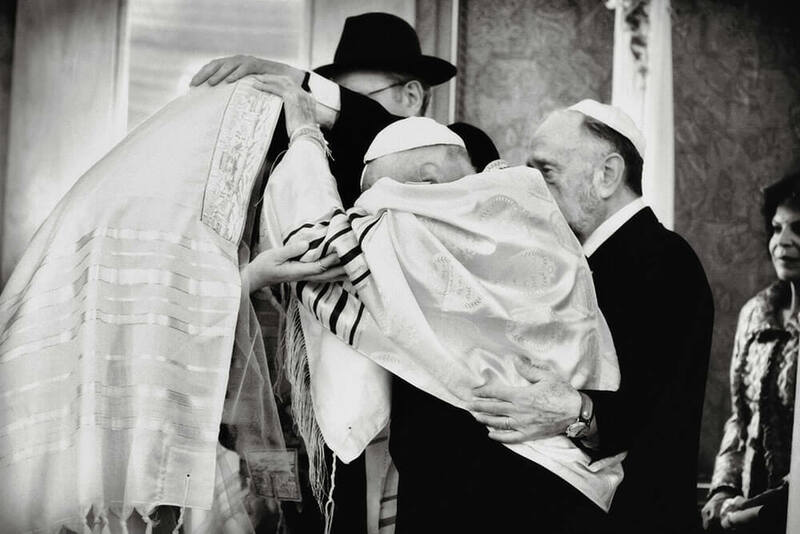 Le tue fotografie suscitano tutte quelle emozioni che neanche le più belle parole riuscirebbero a descrivere. Even the colour of the paper to match my shirt and the bridesmaids dresses!!!! The position of the photos, that they are at the same angle! Yesterday we were like little children looking at the photos!!!!!!! You all made the event the best thing ever!!!! We will never be able to thank you enough! 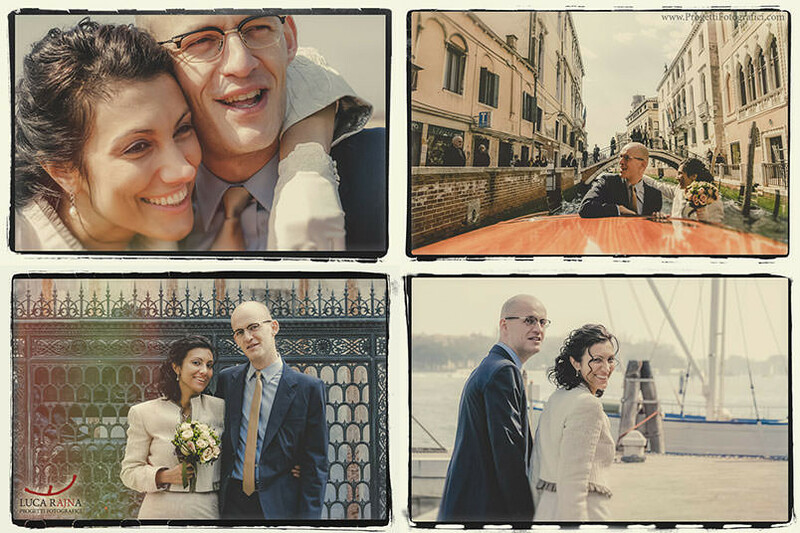 La cosa che più abbiamo apprezzato del nostro album di matrimonio è che racconta in modo completo la storia di quel magnifico giorno… dai preparativi, all’ingresso in chiesa, dallo scambio delle fedi al taglio della torta…e poi gli amici, i particolari della location…e ogni volta che lo riguardiamo riviviamo le emozioni della giornata! 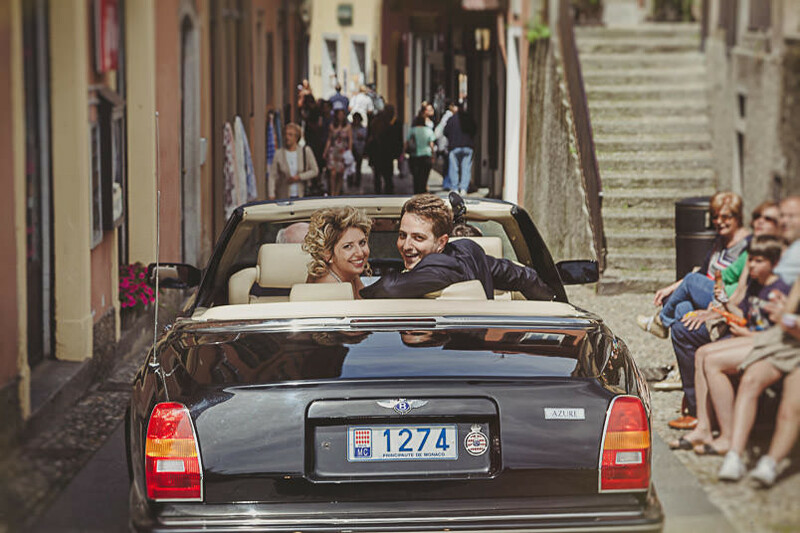 Ci avete seguito in ogni attimo, con discrezione e attenzione regalandoci il reportage di nozze così come lo sognavamo! have done of our photos for our wedding. Photographs are so important to us and you just made it perfect for us. You have just captured every single part of the day, it is like watching a silent video, it is amazing! All our guests had the best time and everybody kept commenting on how ‘cool’ you both looked – you had a few admirers on the day! It’s great that you are on our photos aswell. you both and hope you were not too tired driving back! We cannot wait to receive our album and can’t wait to see which photos you have chosen. Once again, thank you so so much and if we know anyone is getting married we will recommend you. […] We received the albums on Christmas Eve and they are fantastic, we are so pleased with them all. The coloured photos are exactly what we wanted and the design of the album is fantastic. Thank you so, so much for our beautiful photo album, we are so happy with it and can’t stop looking at it. Our family are so pleased with theirs also. Hope you are both well and thank you again to 2 amazing photographers! Abbiamo visto le foto, sono davvero molto belle. Paolo ed io vorremmo ringraziarvi, di cuore. Ci avete lasciato uno splendido ricordo del giorno delle nostre nozze. We are extremely happy with your photos that you have taken for us! 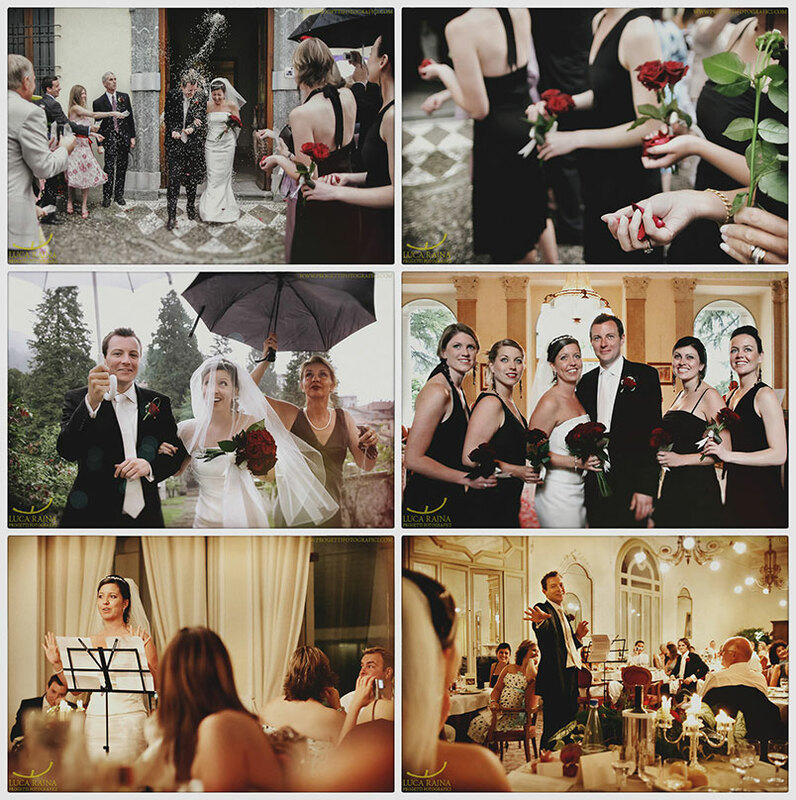 Your photography captured the emotion and moments perfectly! I have written a article to be published! Thank you so much! It will be the perfect present for Loretta and a thank you for all her hard work. Non ho mai visto le foto cosi belle. 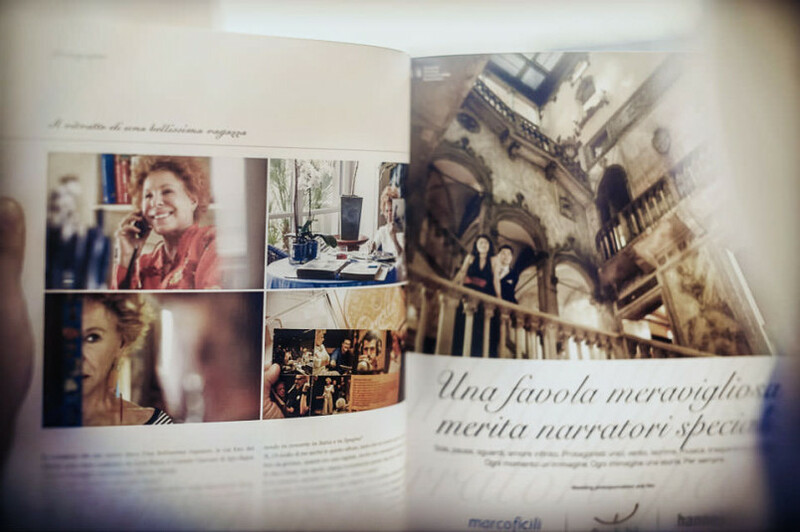 White Sposa interviews Ornella Vanoni on the occasion of her album “Una Bellissima Ragazza” (A Very Beautiful Girl), the photographs of the booklet were done by Luca Rajna Progetti Fotografici working for Sony. › How did you meet Luca Rajna? I was introduced to him by a friend of mine, a great graphic artist, Sergio Mascheroni. I was struck by the spontaneity of his photos. With me he used only natural light: it is difficult to use this style because you have to know how to manage shadows very well, and that problem is usually solved with additional artificial lights. Instead they managed to photograph me without artifice, making the shots full of life, beautiful. › How did you feel on the set? Fine. I am myself, no acting, I really followed my instinct. If the photographer is able to establish a good relationship with me I’m calm,I don’t get bored, I hardly notice his presence, the camera doesn’t create embarrassment or shame. I think this is then reflected in the photos, which show my true soul. › Is it like that for your new album ’ A beautiful girl’ that you are bringing in concert to Italy and Spain? Yes, there is a lot of me in this album, so much so that I’m also shown in photos of when I was much younger, when I was a girl. Even now, however, I feel full of life and strength, my niece ironically calls this ability of mine ‘sprightliness’! › And in concert, when on stage, how do you feel? There it’s different, there is an emotion and a relationship with the audience that is very strong. I can be myself on the stage, where, however, there is also a bit of acting, things often get confused and it is a fine line that distinguishes the false from the spontaneous, the use of the voice, the play of times and pauses , the real or scenic unforeseen event. I now have much less fear of judgment on the part of the public than before and therefore I am much more myself. › Do you think that the same emotion can be there in a day as important as that of marriage? No, the judgment should not be there. 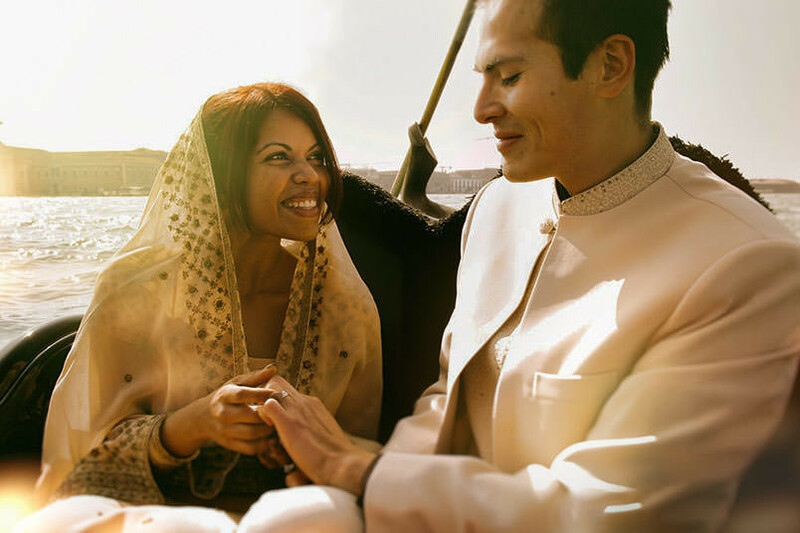 Marriage is a major life change, to be lived with an emotion that binds us to the people we love, relatives and friends. Although now, if I were to do it, I would do it in secret, in the sense that it’s something intimate, private. 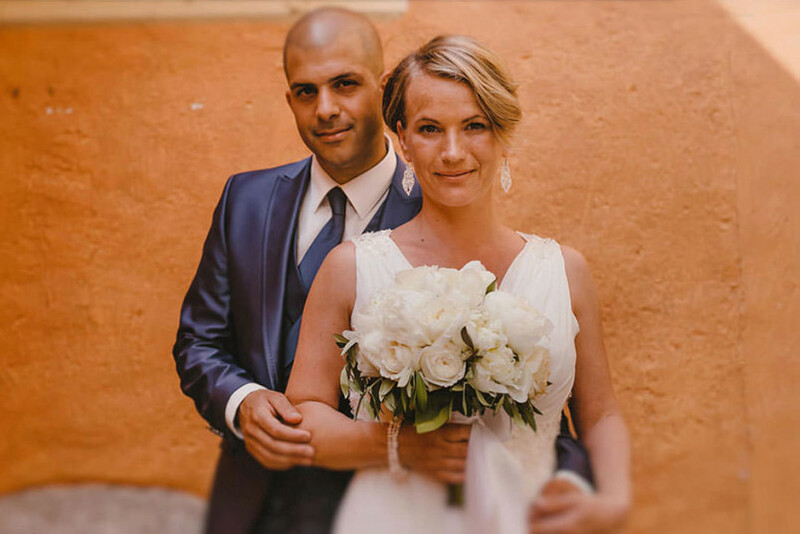 Caro Luca volevo ringraziarti per il bellissimo lavoro che svolgete con i miei sposi. 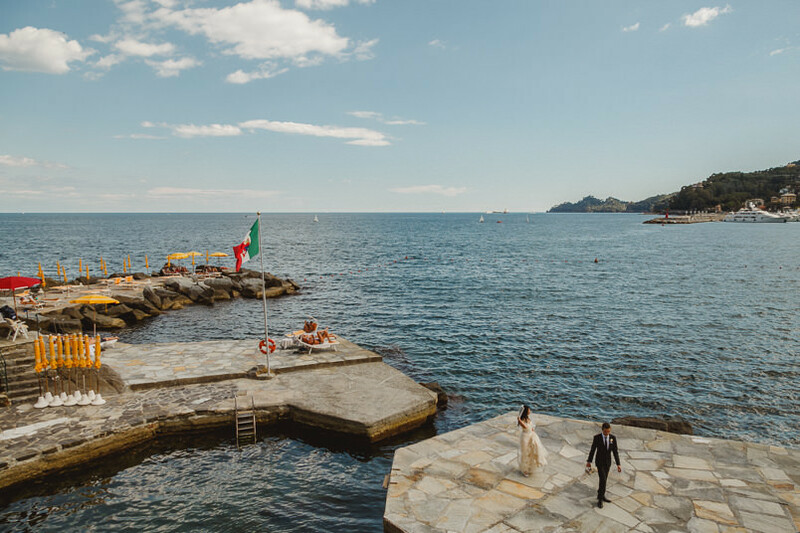 Come titolare di SugarEvents cerco sempre di proporre il meglio ai miei sposi, e Progetti Fotografici risponde pienamente agli standard qualitativi da me richiesti. 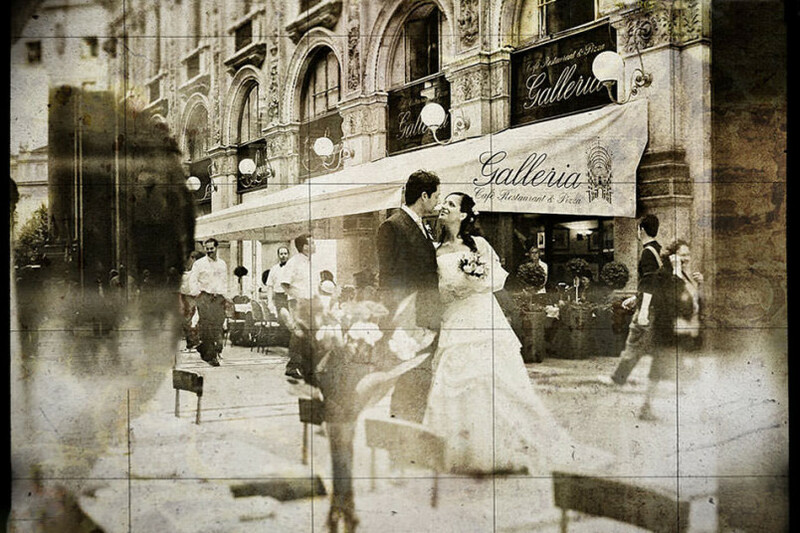 Sapete riprodurre le emozioni della giornata, facendole rivivere, regalando dei “quadri” ai miei sposi. E cosa ancora più importante vi muovete con eleganza e discrezione il giorno dell’evento, così da lasciare che l’evento scorra con naturalezza e spontaneità, senza imporre i vostri tempi o le vostre esigenze. Congratulazioni e sarà un piacere lavorare ancora assieme. Grazie Daniela! E con http://www.pietrositaly.com e Daniel McVicar abbiamo fatto centro ancora. Ci vediamo per il matrimonio del 20 dicembre! WOW! 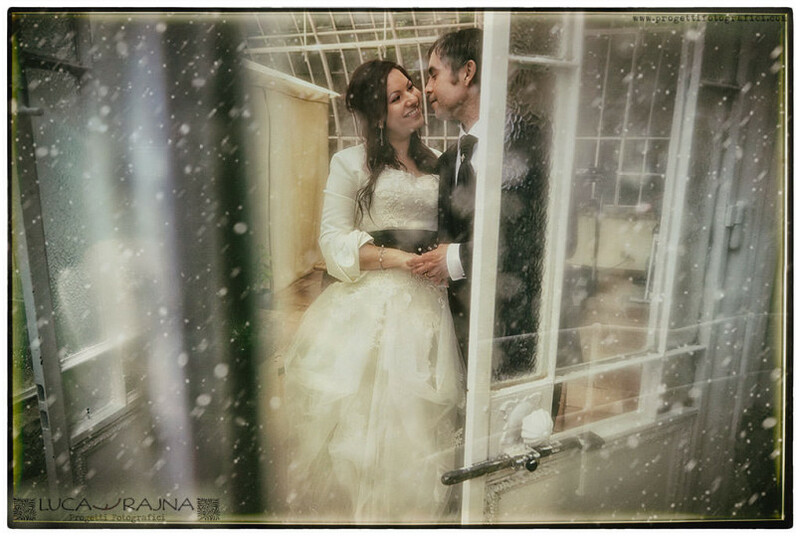 I would get married again for having you as photographer :) Congrats for your work, really amazing! Compliments Luca! You did such a beautiful job here and your pictures have a unique and uncomparable style! 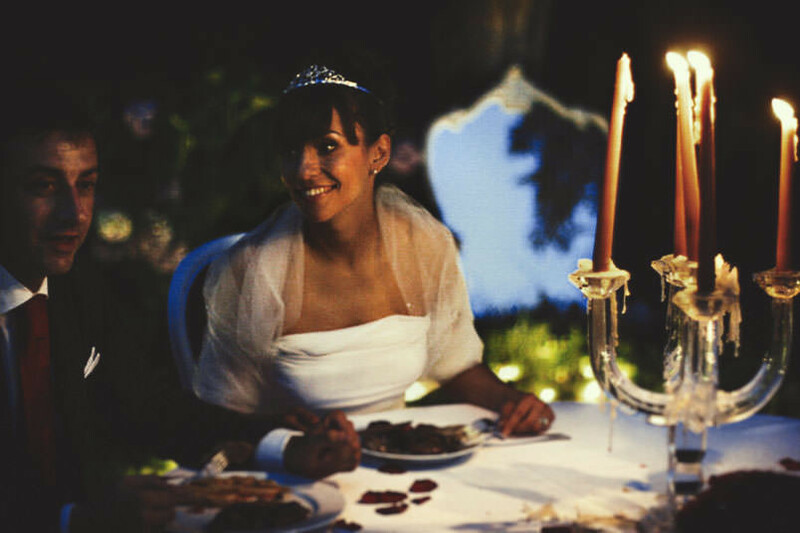 We wish to have you here for lots of weddings! Thank you so much Laura, I'm proud to work with you! quando ci si affida ad un grande professionista quale sei, il risultato non può che essere superiore ad ogni aspettativa. 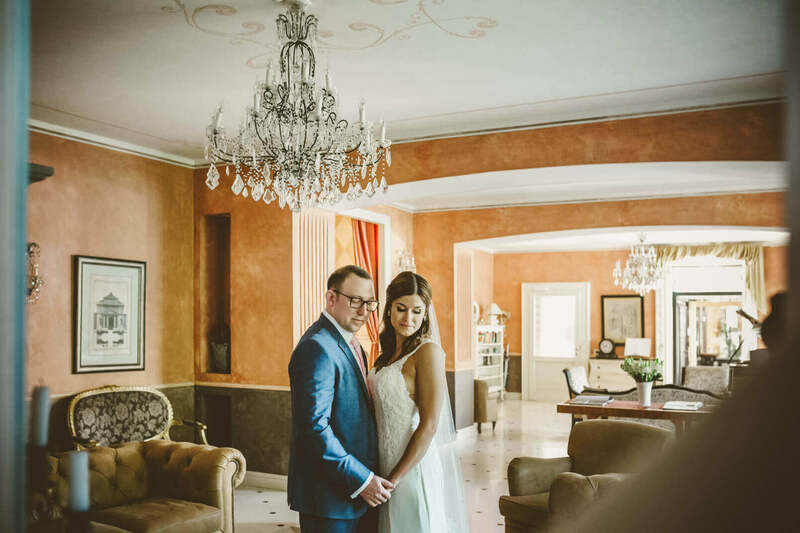 Grazie davvero Marisa, mi fa molto piacere ricevere un complimento così da te, sia per il fatto di averti fotografata un tempo, sia a motivo del fatto che oggi come wedding planner rientri anche tu nella categoria "grandi professionisti". After seeing your work, I am not surprised to read these kind words from your clients. Luca, you are truly an artist of the highest caliber. Thank you for esteeming my work Alisa, you are so kind! Ogni giorno ho a che fare con professionisti del settore però...poche volte vedo scatti così ricchi di emozioni! Grazie Federica, complimenti a voi per il vostro eccellente portale sul matrimonio, un "must" del settore. Luca Rajna is a very careful photographer to capture the fleeting moment, the magic atmosphere and hidden details. 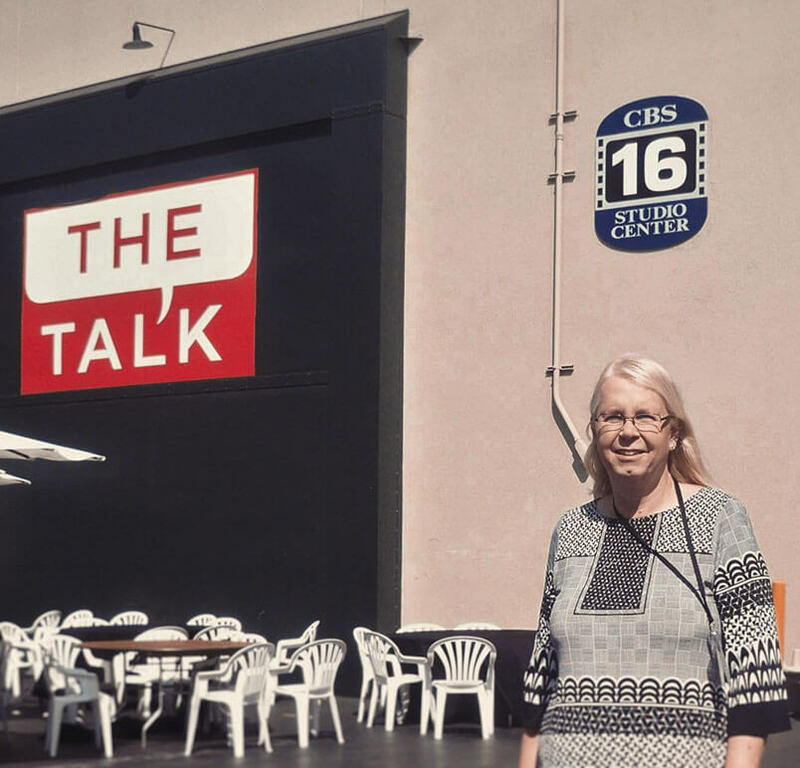 Thank you Barbara, thank you Eros! Luca sei un grande professionista, le fotografie su Israele che hai fornito al Germoglio di David sono eccezionali. Grazie Angelo, è un onore per me. Your photos are amazing Luca! 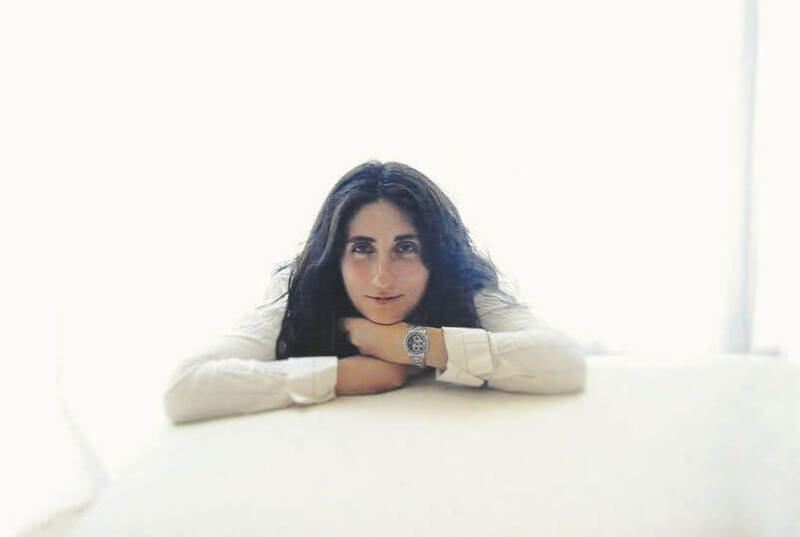 Grazie a voi Federica, a presto! Che dire di te Luca? Una sensibilità fuori dall'ordinario che è garanzia di racconti sempre ineccepibili. Sei un collega che stimo molto. Grazie Fabrizio, la stima è reciproca! It is always a pleasure to work with you during events. This is what I can do for you :) Ifeoma. Thank you again! 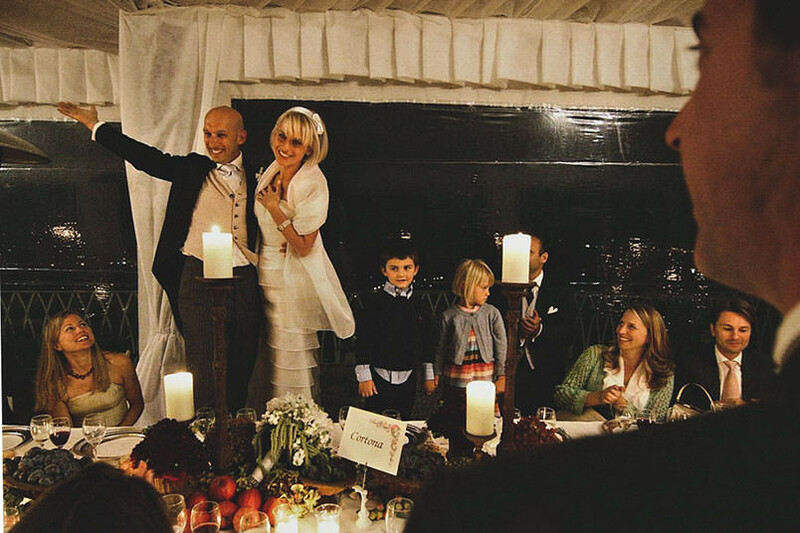 Luca, bravo perché racconti i matrimoni come già raccontavi tuo nonno ne "il Mio Nonno Materno Scrive le Sue Memorie". Lo stile quindi segue i tempi pur non modificandosi nella sostanza. Pathos e atmosfere di grande impatto. Comunque come dico sempre: ad majora. Luca, complimenti davvero. 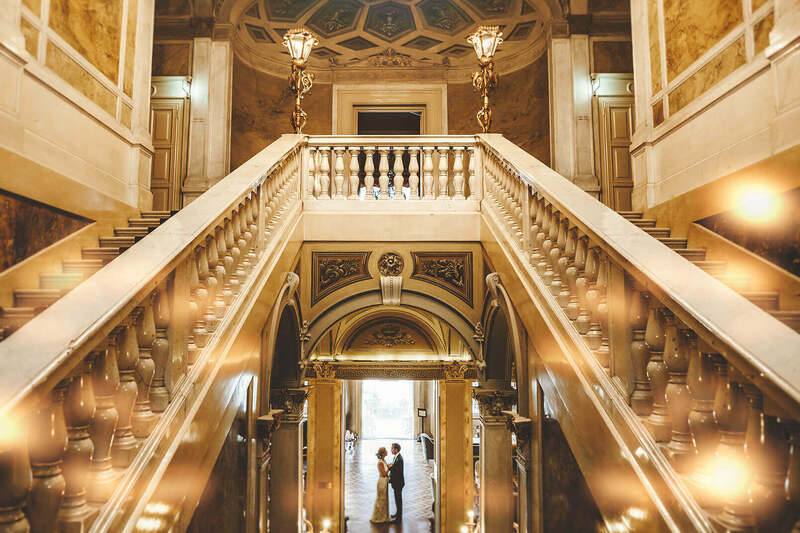 I tuoi scatti sono emozionanti e ricchi di sentimento, sia per gli elopements che per il wedding. Riesci sempre a trasmettere tutte le sensazioni vissute in quei momenti, anche a distanza di tempo. Molte foto sono commoventi, altre ricche di gioia. Tutto questo dimostra che sei un grande professionista. Grazie per il tuo lavoro. Grazie a voi Lucia, sono felice di poter collaborare con voi di FaberJour! Luca, le foto che hai fatto in palestra e per il Krav Maga sono fantastiche. 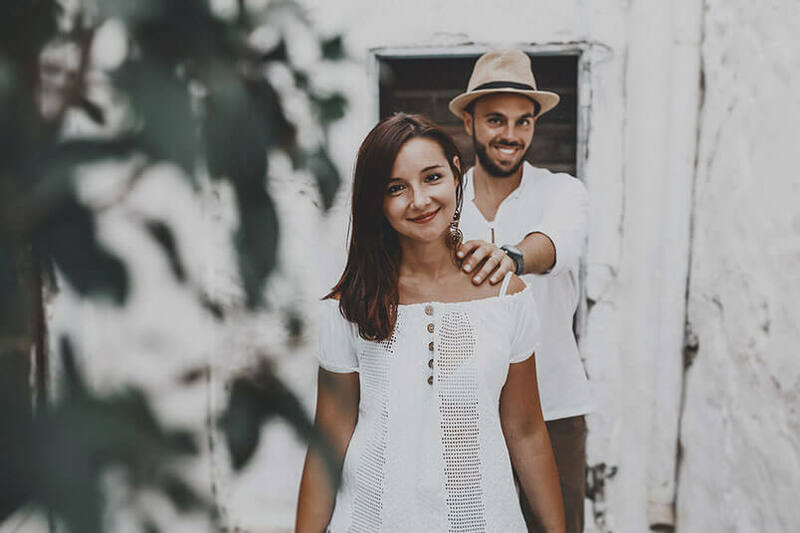 Scoprire ora il tuo lavoro come fotografo di matrimonio è comunque una sorpresa perché la qualità del tuo lavoro è stupefacente. Complimenti sinceri da tutti noi! Grazie, abbiamo fatto della ottima fotografia in palestra da voi! Mille complimenti Luca! You are the best! Thank you Chris, thank you Stephanie! 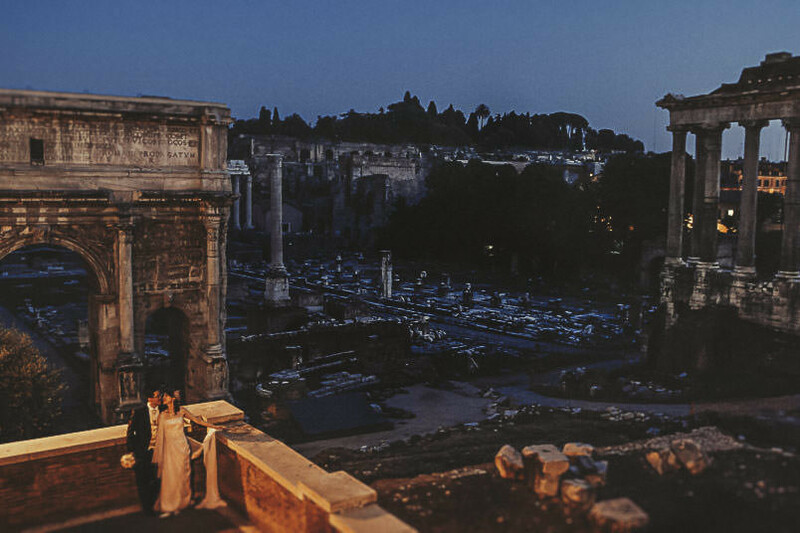 Che fotografo di matrimonio! Le tue immagini sono stupende, rendono l'omaggio più bello ad un momento così speciale. Mi impressiona in maniera estremamente positiva la tua fotografia. 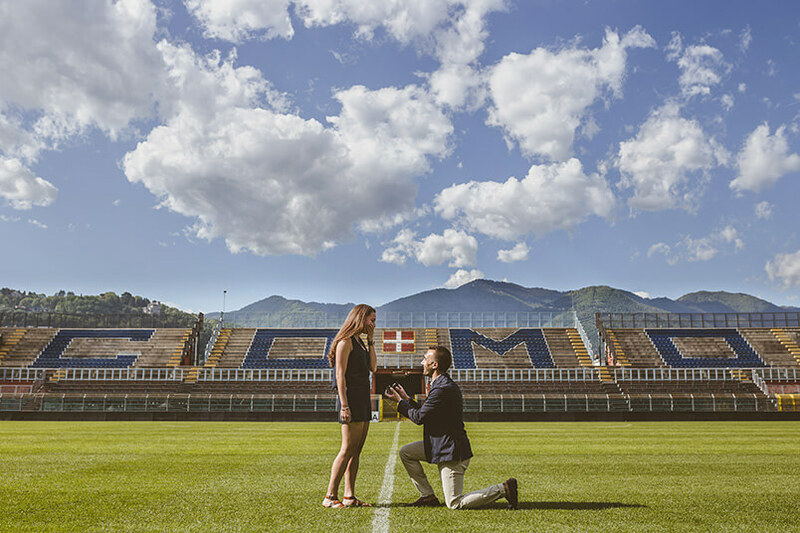 Guardando le tue foto è evidente che sei un vero fotografo professionista e che sai immortalare in maniera splendida questo fantastico tesoro qual'è l'amore. 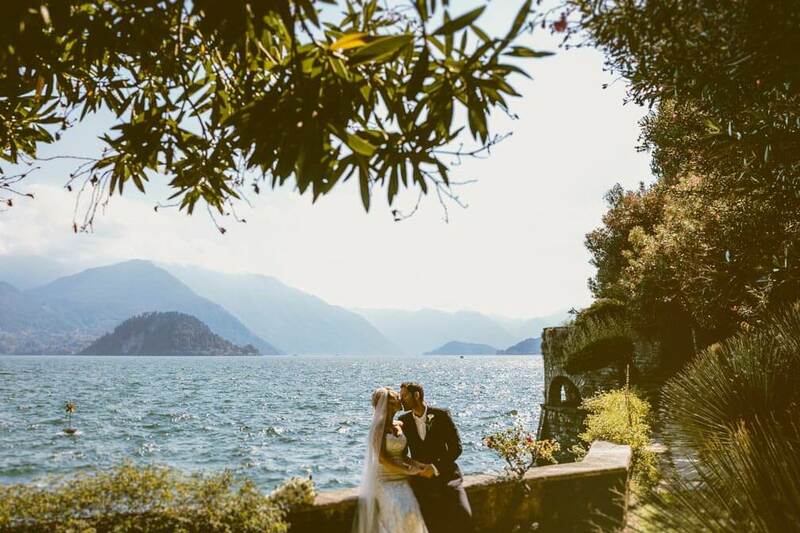 Poi il fatto che concentri il tuo lavoro sul matrimonio presso il Lago di Como e Venezia impreziosisce ancora di più quello che proponi. Grazie Luca. Tra l'altro, complimenti per il tuo blog. La cura e prevenzione con l'alimentazione offrono benefici maggiori della medicina chimica. 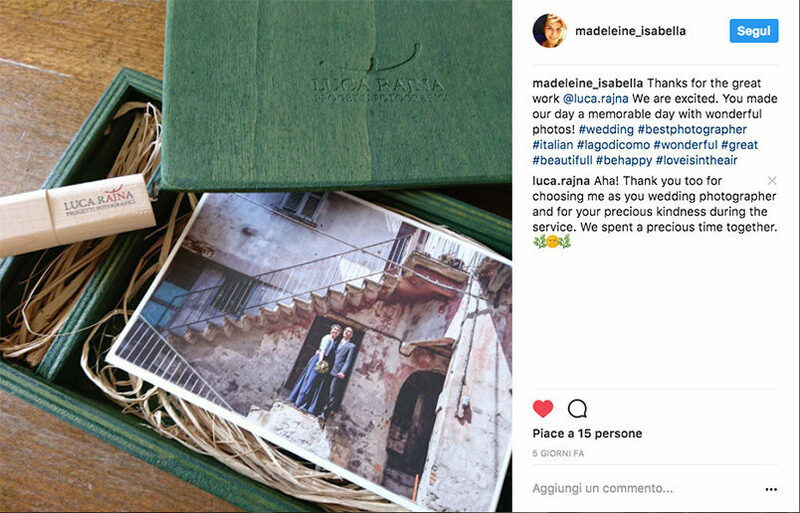 Complimenti Luca, sono una appassionata di wedding photojournalism! Davvero belle le tue immagini! Grazie Martina. Un bel complimento da una vera blogger! Grazie a te per le fotografie! I'm so impressed! Your work is awesome, you're able to catch very special moments. Looking at these pics it seems to be there! ? Thank you so much, Emanuela! 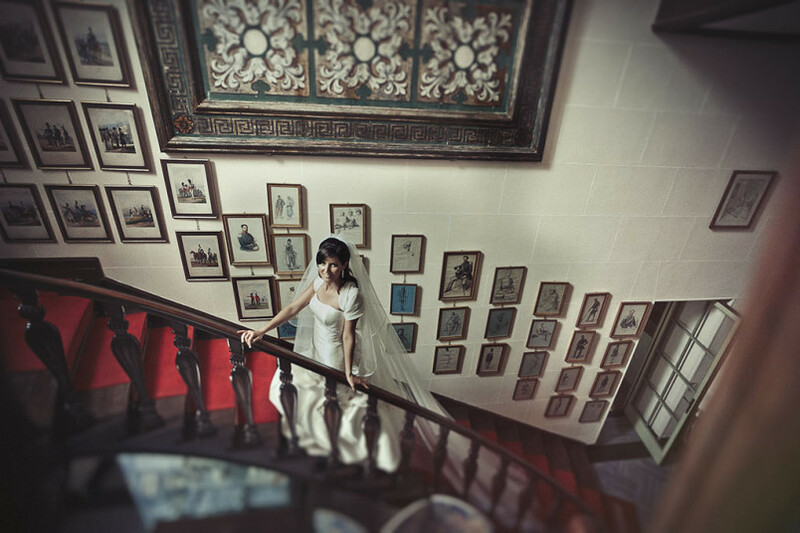 Being a model, I would say that I appreciate a lot the wedding photographs. You have a really fine art style, just what I like! 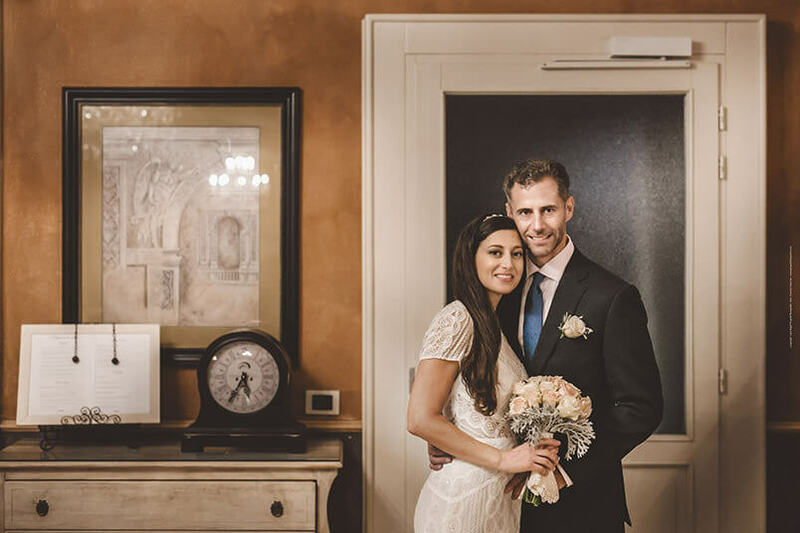 Vedo bene lavoro di fotografo di matrimonio consiste nel fare felici le persone. Luca, che belle tutte queste testimonianze! Complimenti Luca per queste referenze fantastiche, traspare tutta l'emozione dei soggetti e la felicità del giorno del matrimonio. 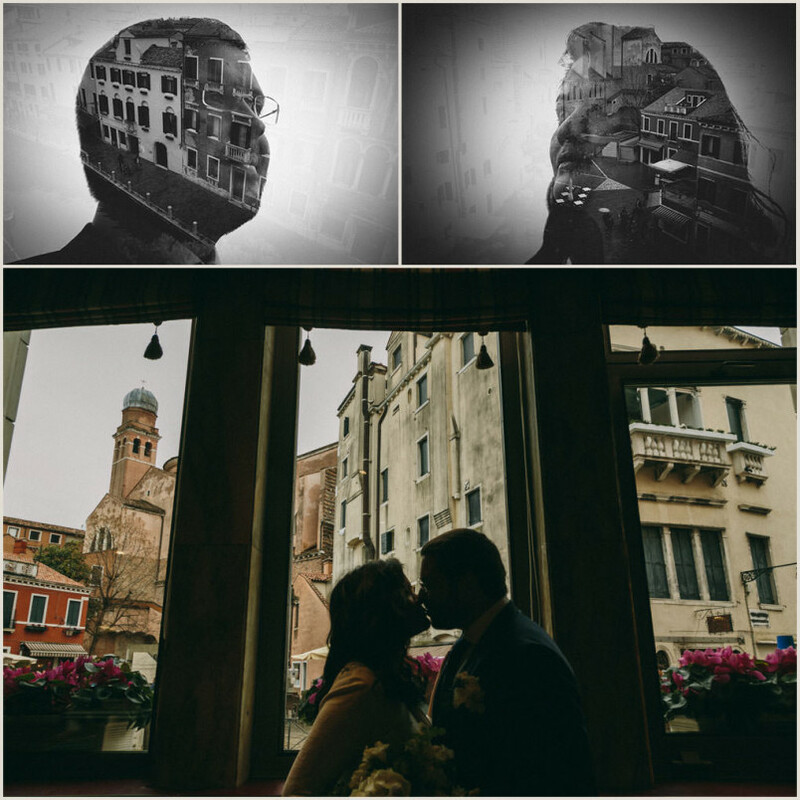 Con il passare del tempo lo ricorderanno soprattutto grazie alle tue fotografie! Thank you Jim, see you soon!